Designed specifically to write on wet or damp surfaces. Ideal for marking on nonporous wet surfaces, like metal, plastic, styrene foam, etc. 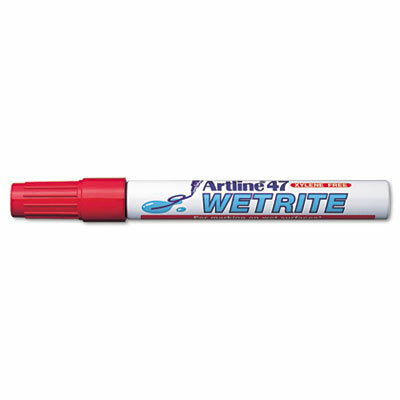 Designed specifically to write on damp or wet surfaces, this marker dries instantly and is waterproof. Comes in several bold colors for great visibility. Use to address packages, on wet metal or plastic, in the garden and much more!